Tread lightly in the desert, for all creatures are aware of your hiking boots and your gasoline engine and your tires. I know you are coming before you are here. You scuff and rumble and throw up dirt with enhanced power. But you do not belong here. You will not remain here to bake in the sun and freeze in the night’s cold. You are only a visitor. I am feeling gracious today, so I will share my beauty with you, especially if you are still and tread lightly, and recognize my place in the world above yours. Yes, above…for this is my domain. 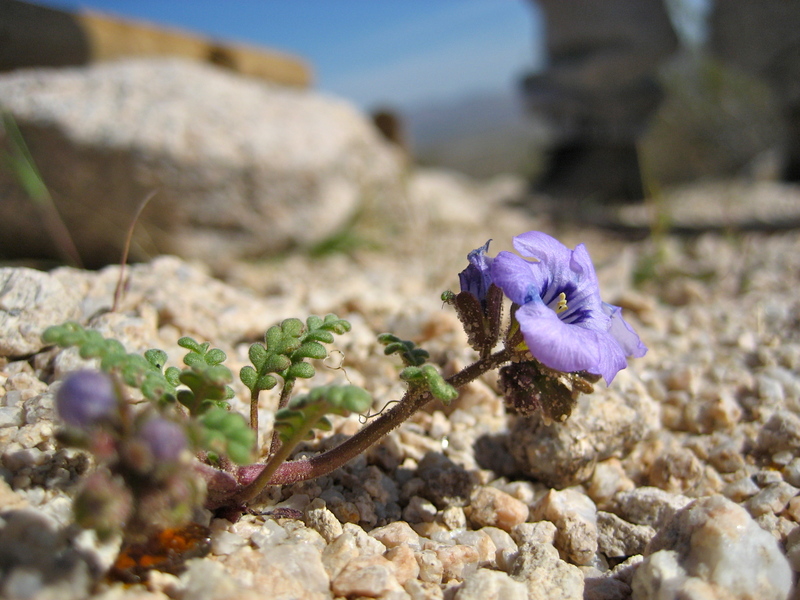 I am a royal purple desert weed. Can you spot my admirers?